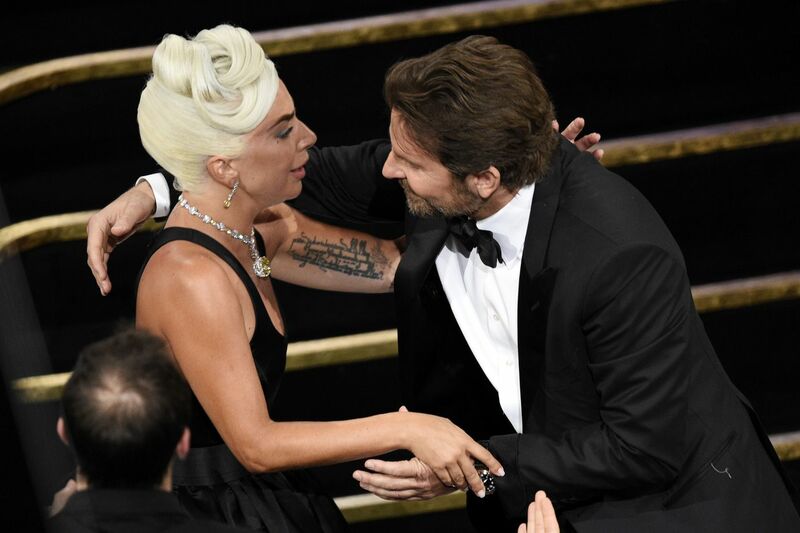 Lady Gaga crushed the Internet’s collective dreams on Wednesday night, saying in an appearance on Jimmy Kimmel Live that she and Jenkintown’s own Bradley Cooper are, in fact, not in love. Gaga, who costars with Cooper in A Star Is Born, addressed the romance rumors amid a discussion about her and Cooper’s performance of “Shallow” at the Oscars on Sunday. But after starting her statement off with an exaggerated eye roll for host Jimmy Kimmel, Gaga had to say little else. For those keeping score at home, Cooper has actually been in a years-long relationship with model Irina Shayk, and the pair have a daughter together. Shayk was also Cooper’s date to Sunday’s awards ceremony, as was his mother. Gaga, meanwhile, reportedly brought along longtime manager Bobby Campbell, as she split up with former fiancé Christian Carino earlier this month. While Gaga isn’t gaga for Cooper (sorry, don’t fire me) in terms of romance, she was a fan of his directing as part of Sunday’s “Shallow” performance. Gaga’s “Shallow” also earned an Oscar on Sunday in the best original song category. The singer, however, seemed equally as excited about fooling the world alongside Cooper in her interview on Wednesday.